Working on the Merc 800EL-1 and thinking about it converting over to the power tilt trim option. As I understand it this was first available by Merc in 1967. 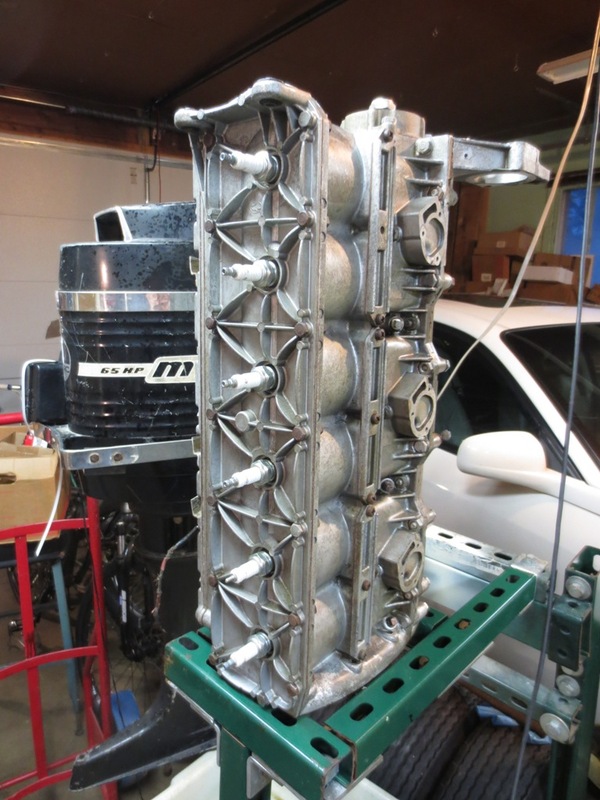 Bill Anderson has had most of his inline sixes configured with the option and suggests it’s as easy as simply replacing the shocks with the cylinders and associated components. 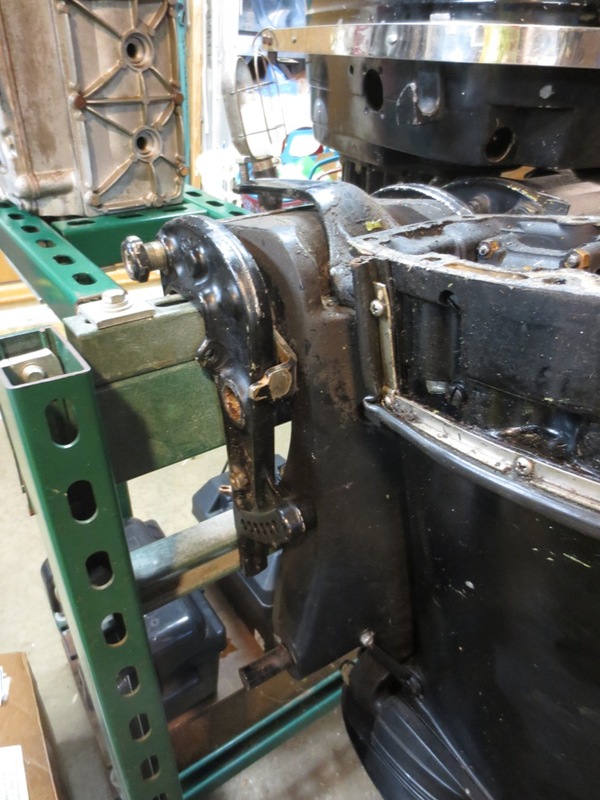 I recently spoke to Joe Poole and he says when Merc made the option available they also beefed up the swivel bracket which he has available although he does not have the cylinders and controls. Any suggestions and parts you guys may have to offer would be appreciated. 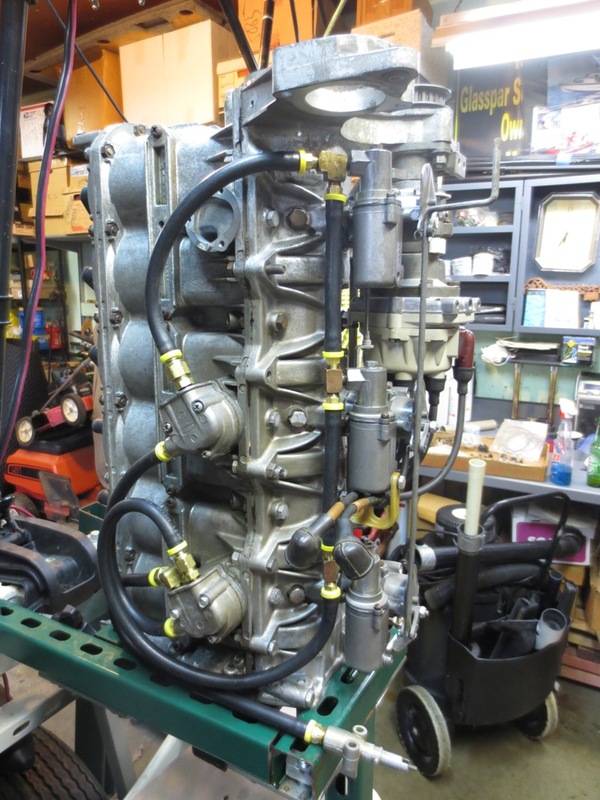 We converted our 1965 1000 over with existing parts from our "doner" 1968 1500 Motor. 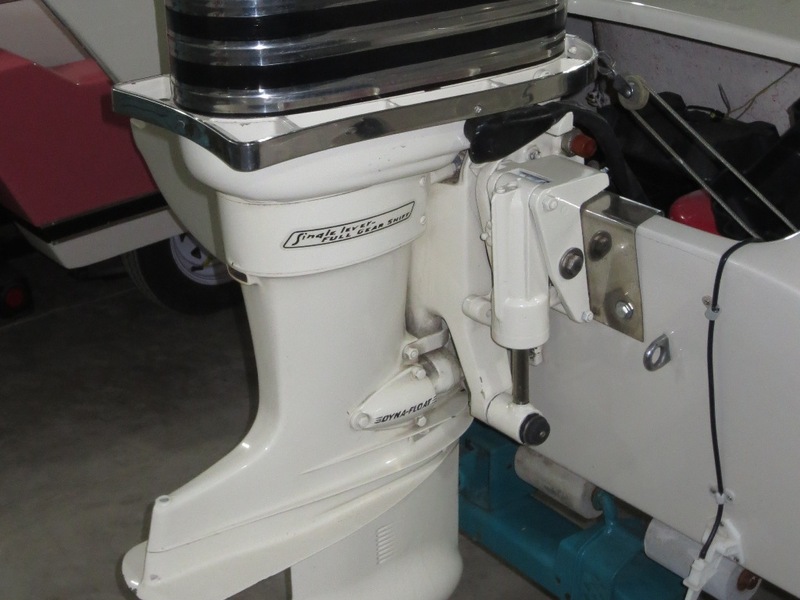 Replaced the regular cylinders with the hydraulic cylinder Assembly off the 1500, installed new hoses and other misc parts, and had to add the controls to the shift lever and also,added a handy switch near the back of the boat for trailer loading. It was a challenge to tuck the hydraulics out of the way under the splash well, but still accessible for servicing. Ended up installing an access plate. 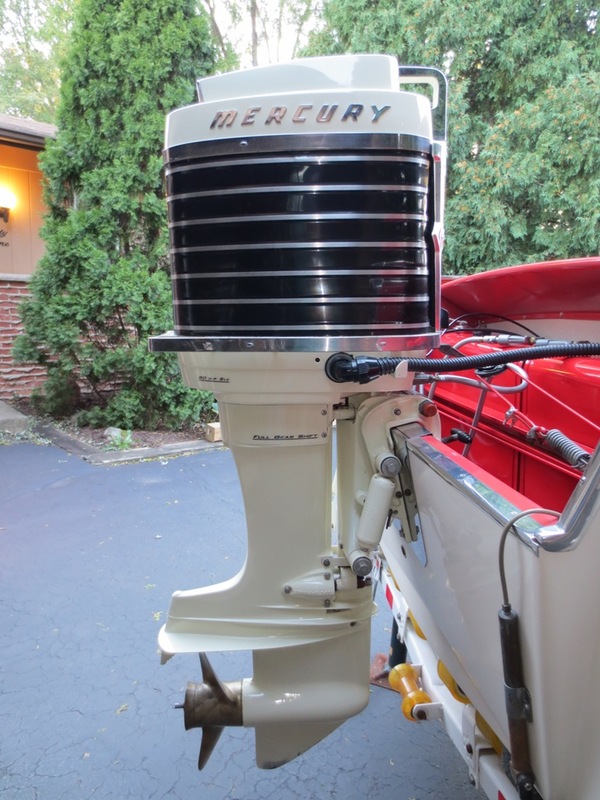 Works great, especially when getting into shallow water or lifting for the transom saver. 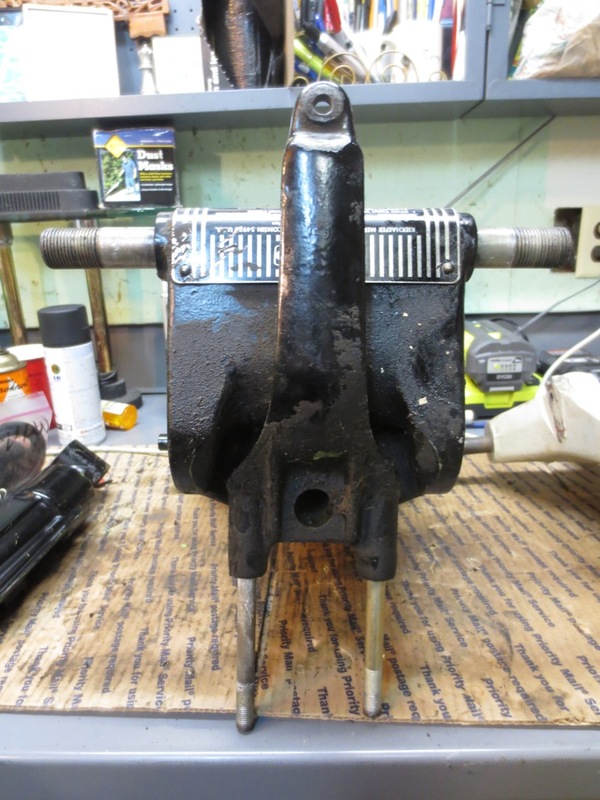 We had to replace a solenoid that was bad, but found one on line after scooting around the internets. Good luck, makes it much easier with trim and tilt. Only had lasted 52 years without it. I'll get some pics if this winter ever gets over. 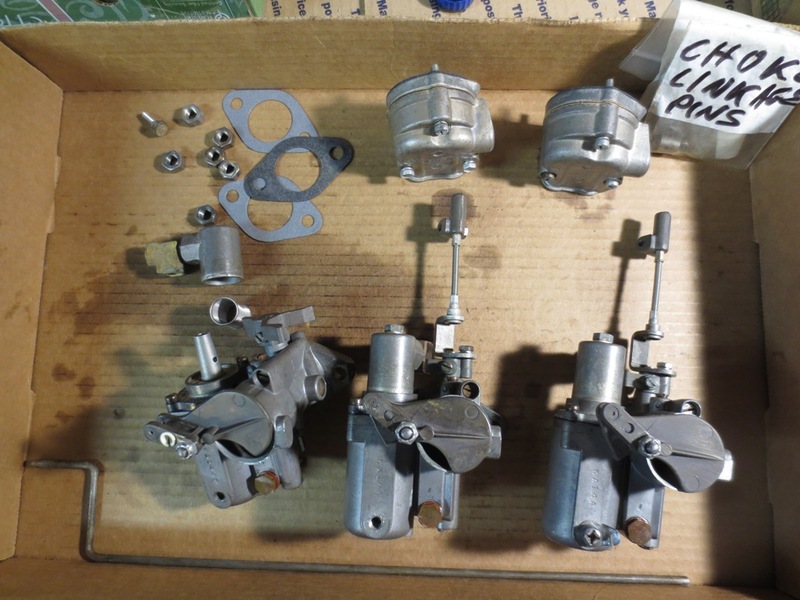 They will work on the early 800 BUT if you use it for trim you should watch for cracks in the swivel bracket for tilt only it is fine and running slow in shallow water it will be fine Only in high speed you have to worry some. Good way to mount the pump is to use a cooler and cut the bottom out and mount in front of the well. then use it as a seat and storage ask how I know works great. I used it for a tool box and pump storage. Please post pictures when you get a chance. 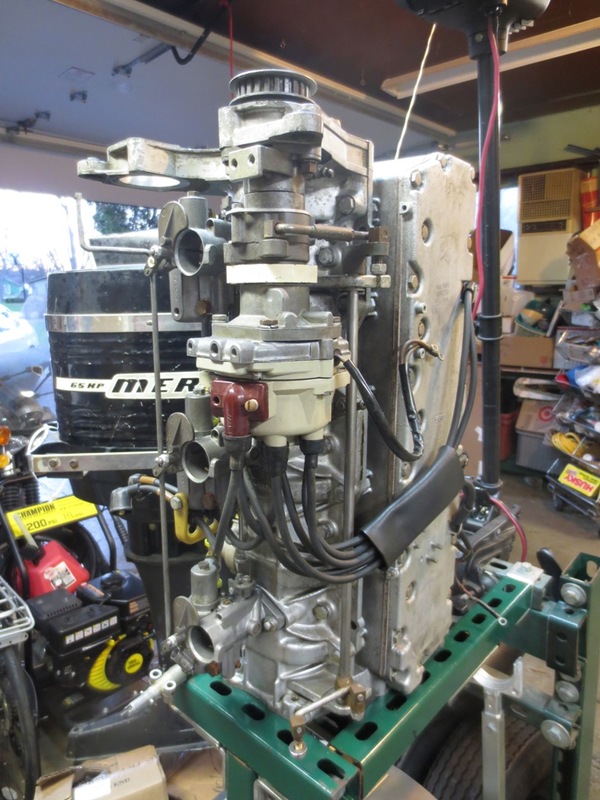 I’m hoping to fit the pump in the space between the motor well and gunnel. So it sounds like the best approach may be to upgrade the swivel especially now that I have it completely disassembled. And I have found a source for all the components I should need including the later design swivel & clamps. Got a few good shots of one of Bill Anderson’s beauties with what I think is a 700 with added T/T. 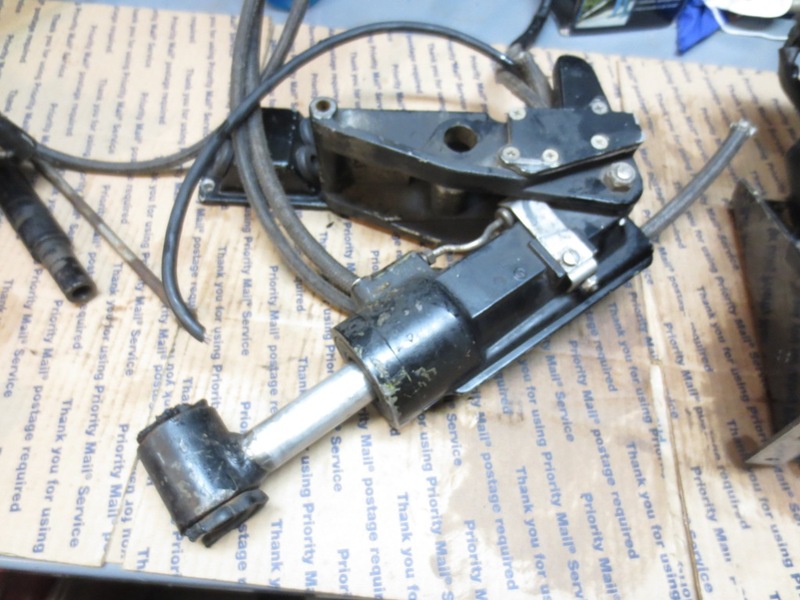 Was able to snag most of what I need for the PT retrofit including a 1970 swivel with clamps. Still looking for the 3-button control. 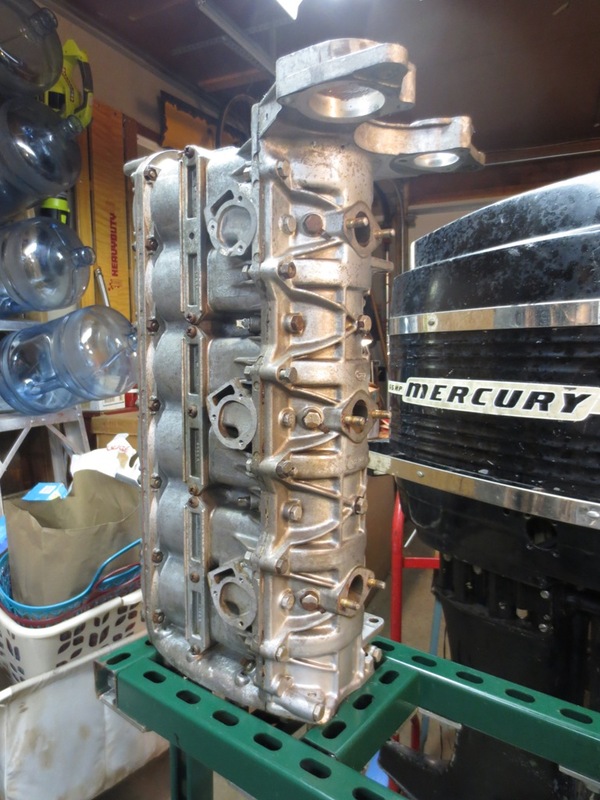 The power head cleaned up nicely and is ready for rebuilt carbs, pumps and distributor. Now that I have the swivel, clamps and cylinders I can finish blasting and get ready to apply the Cloud White. I have the same P.T. set up. 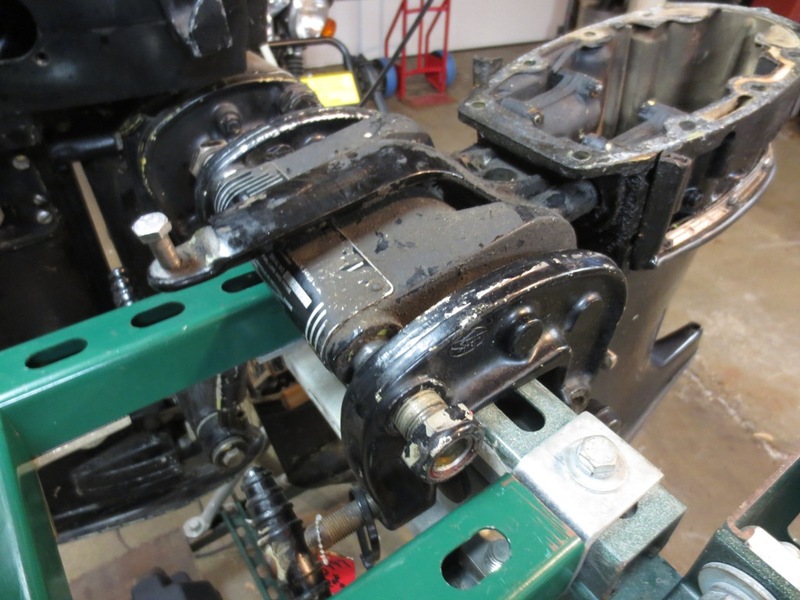 When I changed my throttle set-up to a newer model with the 2 position switch on the throttle handle I just added the 3rd switch in a close position for the tilt. 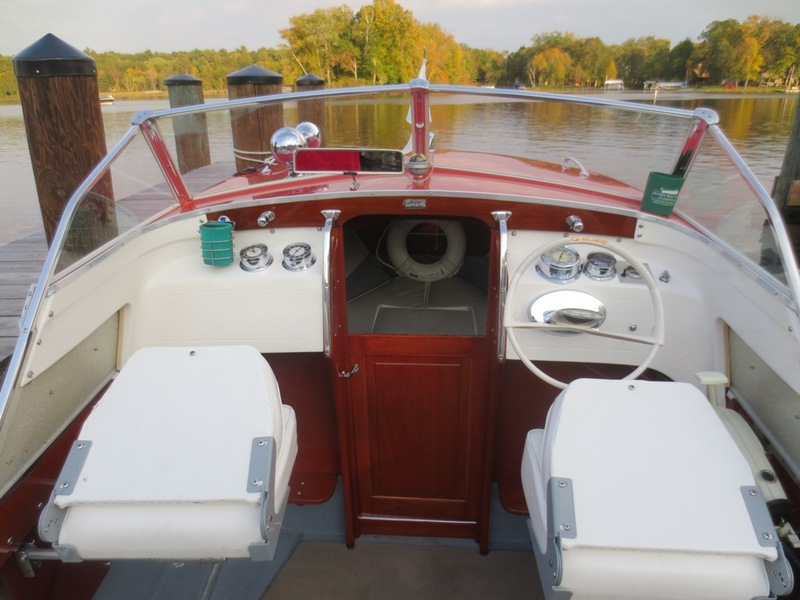 That leaves the trim easy to adjust while under way, and the tilt is handy enough for trailering, ect. Yeah learning there are a few options with the control and have not yet decided how to go. Working on the lower unit and had to repair the drive shaft and skeg. 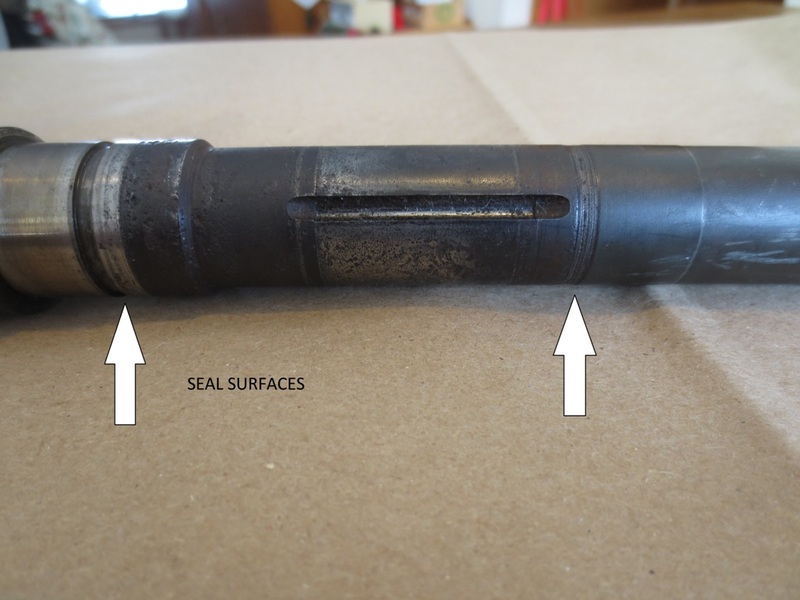 The shaft was corroded at the seal surfaces. Sent out to a metalizer for flame spraying and machining. 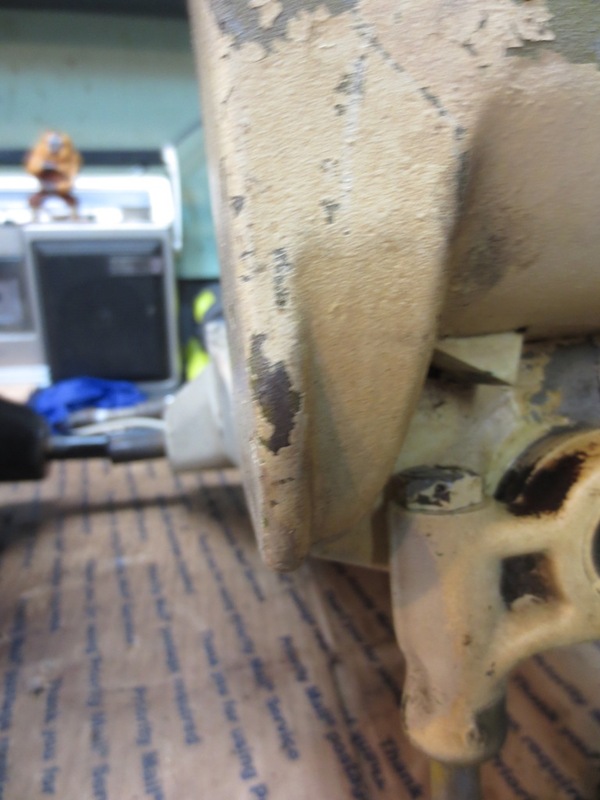 Also had a welder add metal and repair the skeg which had a small crack. 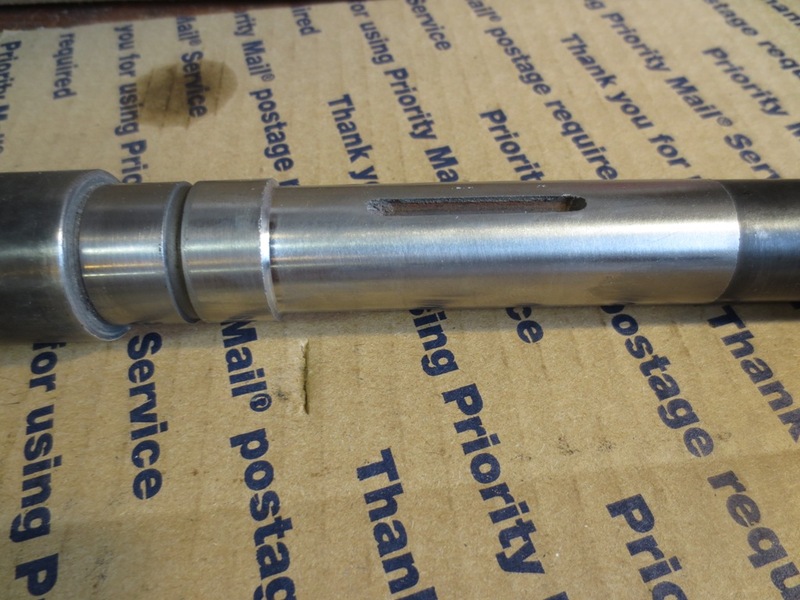 Your driveshaft repair looks AWESOME!!! If you don't mind,...How much did it cost & where did you take it?? Found a guy in Oak Lawn IL near Chicago. Paid $190 plus shipping and it seemed like a fair price. I heard some guys just use JB weld to fill it in but that seems like more trouble than worth. Have the old style (white) and new style (black) swivels sided by side. They seem to be very similar other than the shoulder where they beefed it up. 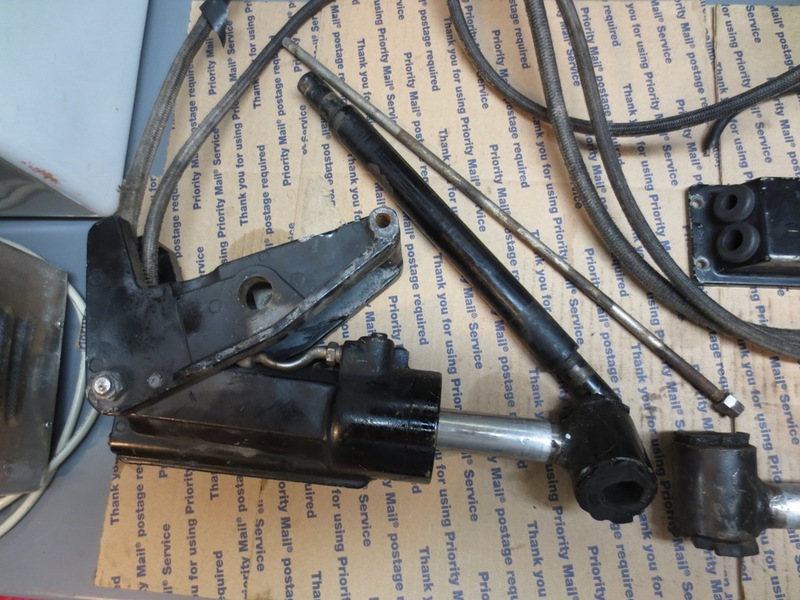 Curious what the lever is for and assume its part of the RideGuide steering system. Maybe time to change over from the cable steering. But not sure if I would be able to use the existing Attwood wheel. I've done a lot of Metalizing when working. 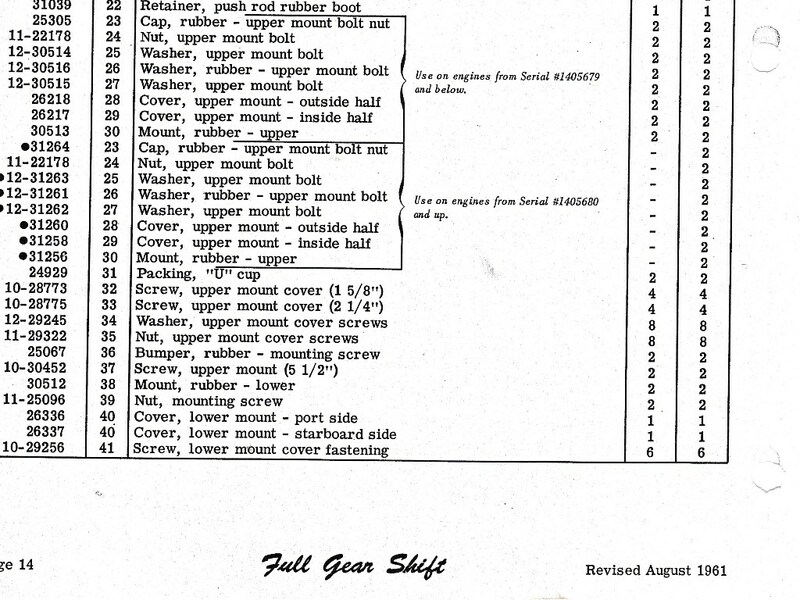 Really simple (well for a Machinist anyway). Just need the spray gun/torch, toss in a lathe and skin down to good surface metal, low speed build up, and re machine. And price sounds damn good to me! I had hoped to get down there to see the flame spraying but time did not allow so I shipped and missed all the fun. I had the same process performed on the 800 I’m running now 8 years ago at a cost of $165.00. 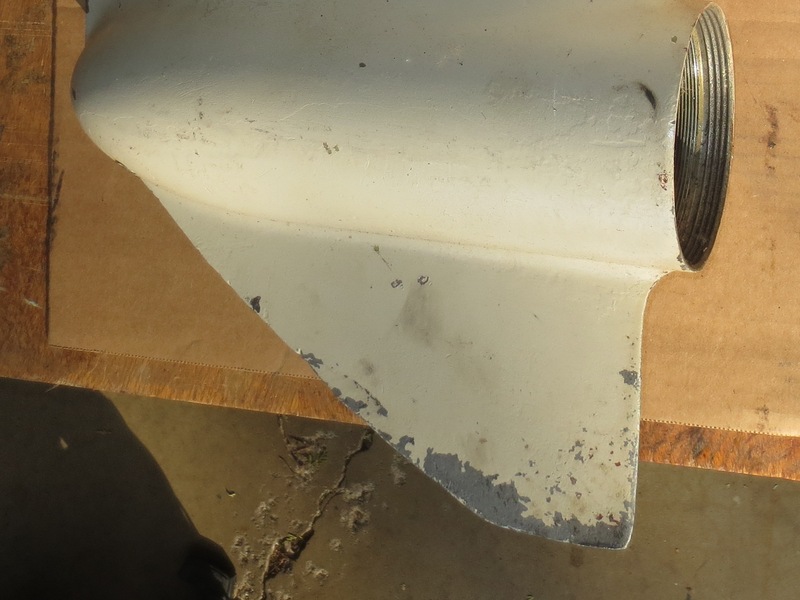 Still blasting cowl parts and could not take off the old decal that had been painted over. 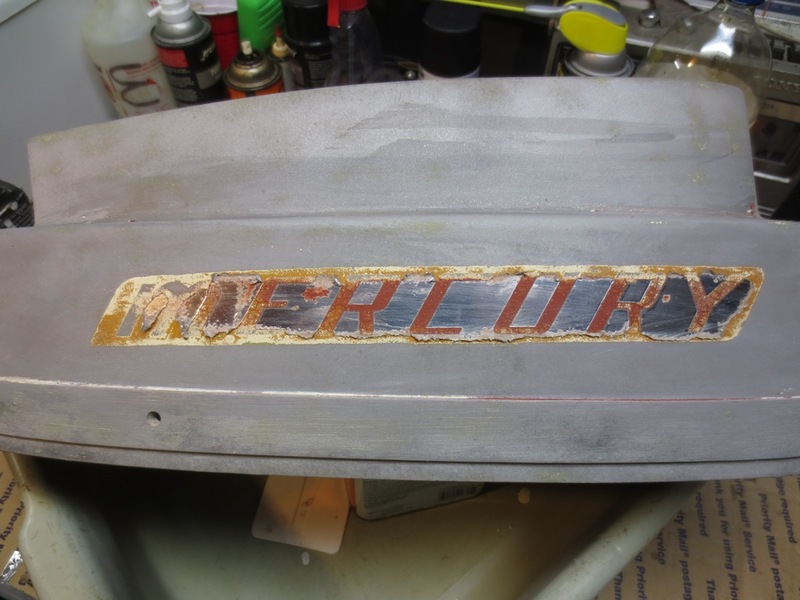 Layered with paint remover and uncovered the original Mercury decal so at least I know now what I need to replace it. Chrome background with red letters. Anyone know of a source for this style decal? Check out North York Marine in Ontario. I bought new decals for my '63 Merc 850 from there and they looked great. That decal is not an original for an 800-6. The 800-6 had individual chrome letters held in place by push-on clips on the inside. 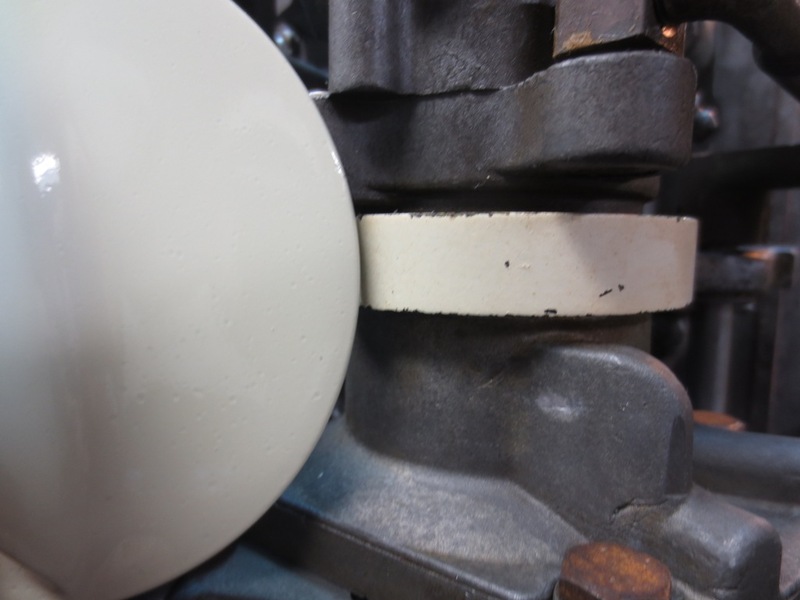 Unless you find a bunch of holes bondo'd in on the inside, the top had originated on a '62-'64 90ci 850-6 or 1000. The main decals on the 800-6 were on the cowling wrap. That motor looks great on that G3. 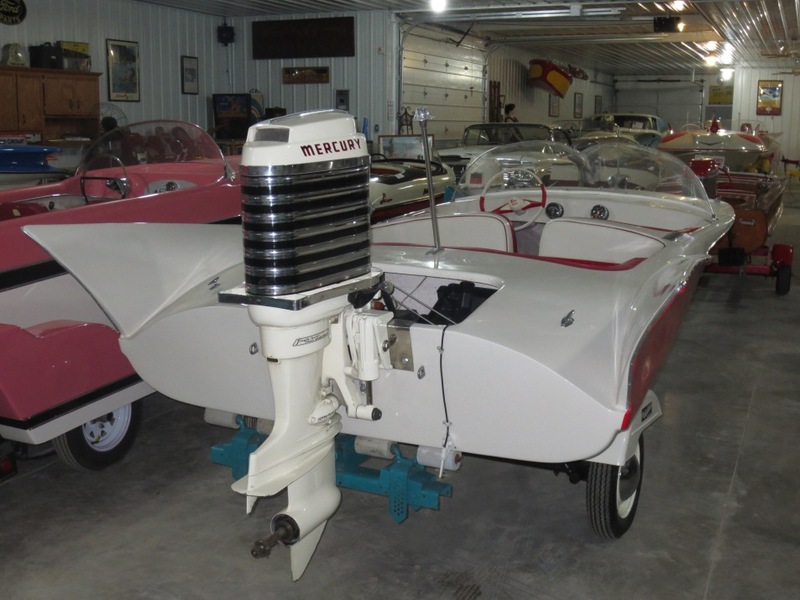 In 1961 there were two 800 models. I have both the 800EL & 800EL-1. 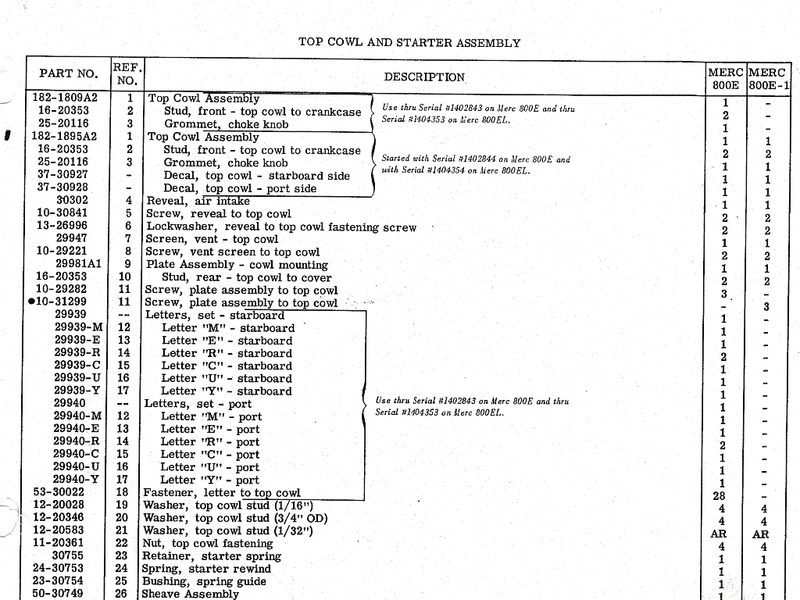 The -1 model was sold without the cast lettering. And they used the KA14 carbs rather than the KA11s. Also the upper mount rubber bushings were beefed up. The main difference was DR and full gear shift. North York Marine provided a decent replica medallion for the control arm after I destroyed the original trying while trying to remove it. They only show the Full Gear Shift and 80 HP Six decals for the lower cowl and shaft housing for which I have a local source. I have the Merc part #’s so any easy solution is to simply find NOS decals. Yeah right! So I will probably have to have these replicated. I think the chrome with red letters on the cloud white should look sharp. The 800EL & 800EL-1 are both Full Shift models. The major differences I see are the carbs, mounts and lettering. Can’t help but wonder if the cast lettering vs. a decal, was designed as an offset to the engineering costs of the carburation and mount revisions? 1961 vs 1961½ model which is what the S/N’s seem to indicate. Starting to put his old Merc back together and noticed something interesting. I have had discussions with fellow Merc folk regarding the Mercury “Cloud White” and what it should look like when properly matched. When I restored the last Merc 800 I matched to the color that was inside the control which had not seen the light of day since 1961. Some said it was not white enough and appeared to be more of a cream color. And it does appear to have a yellow tinge compared to the white on the boat. 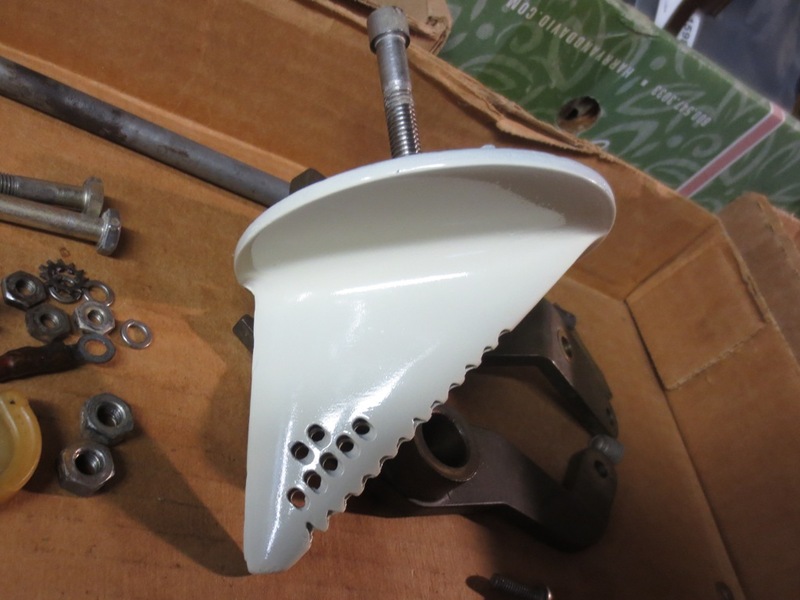 Now I see the horseshoe spring on the distributor adaptor is actually painted “Cloud White”. 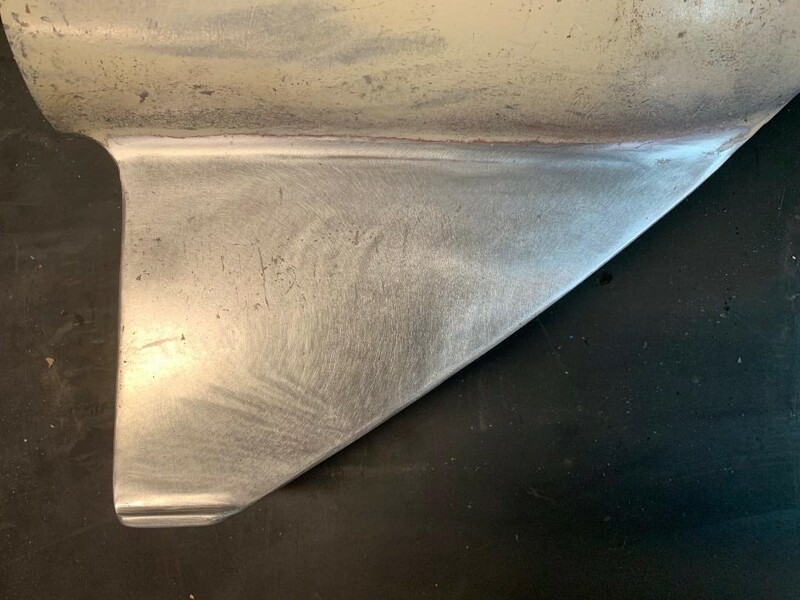 I had an extra trim tab and painted it when I did the last motor and you can see it’s a damn close match. I read somewhere that the spring was called an economizer. Not sure of the theory but maybe when throttled quickly the spring expands retarding distributor advance? when you throttle up, you use the spark advance and not much butterfly. then when you hit the spark advance stop you pick up the butterfly to full throttle. when you use the when you use gas. Looks like good work you are doing. 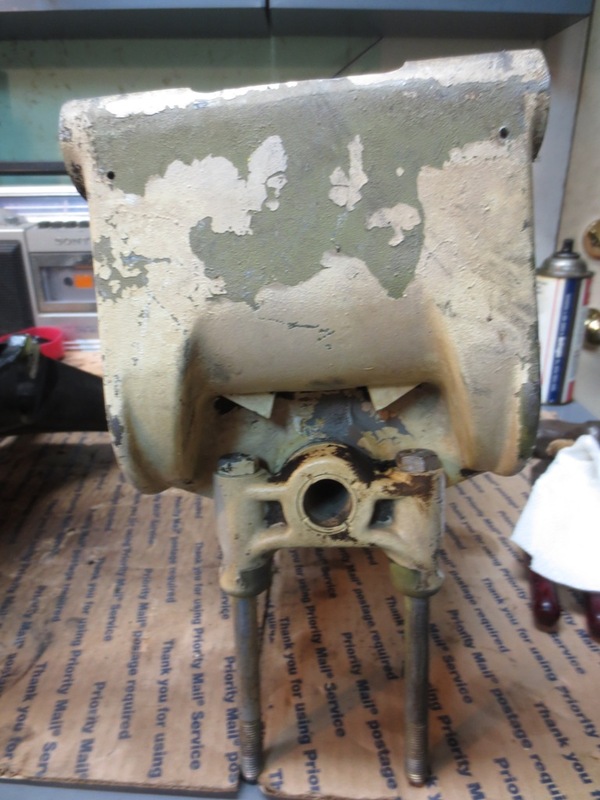 Yes you will need to use a later 67 up swivel bracket, it swaps right on, at least the 20 inch versions do, not sure about the shorty versions. 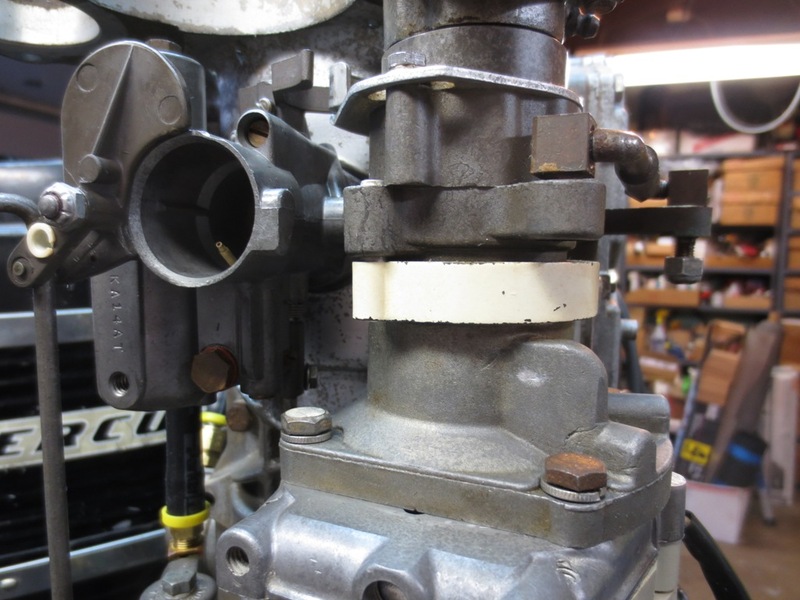 The thrust of the motor is taken up by the tilt tube and the trim bracket bolt holding on the trim cylinder so loading is very different than the swivel bracket just pushing against the tilt tube and tilt pin, that’s why things broke. 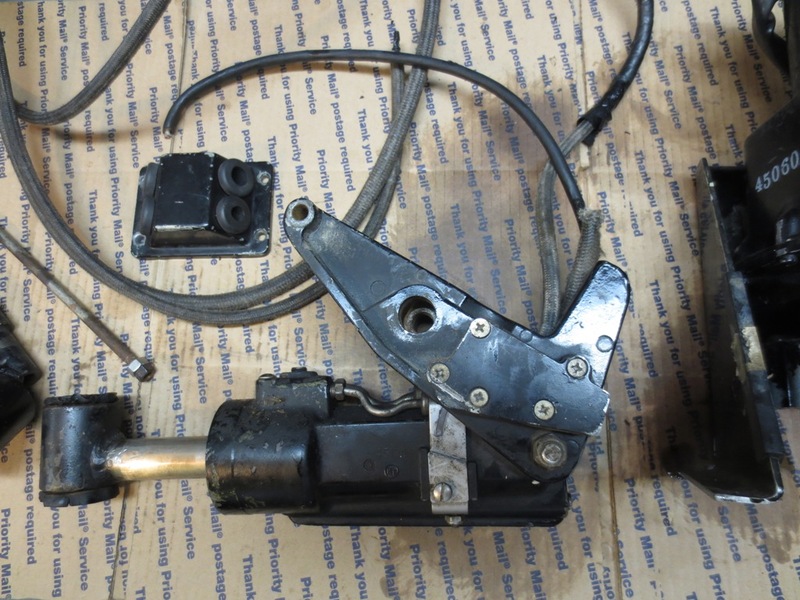 You should make sure your trim limit switch is working, that’s in one of the trim brackets, it prevents the swivel bracket from trimming outside of the clamp bracket tilt pin ears when under power, trimming beyond OK at idle only. The drive shaft looks phenomenal! 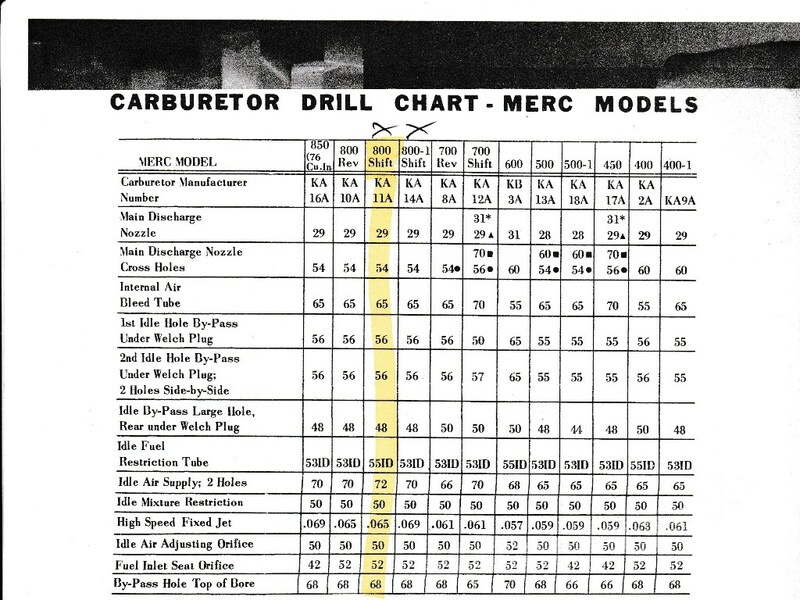 I scoured for years finding stainless replacement shafts, hard to find items where Merc did not make them for the early FGS motors as a service part for many years. I’ve also used the speedi sleeves but wow I like your option. Also, I have an 800 top hood with the separate lettering and pretty sure I’ve got the 800 faceplate , I know I have the jacket with a few dings but easily fixed. Just PM me. I thought I was going to build an 800 so I collected parts but went with a 1000. 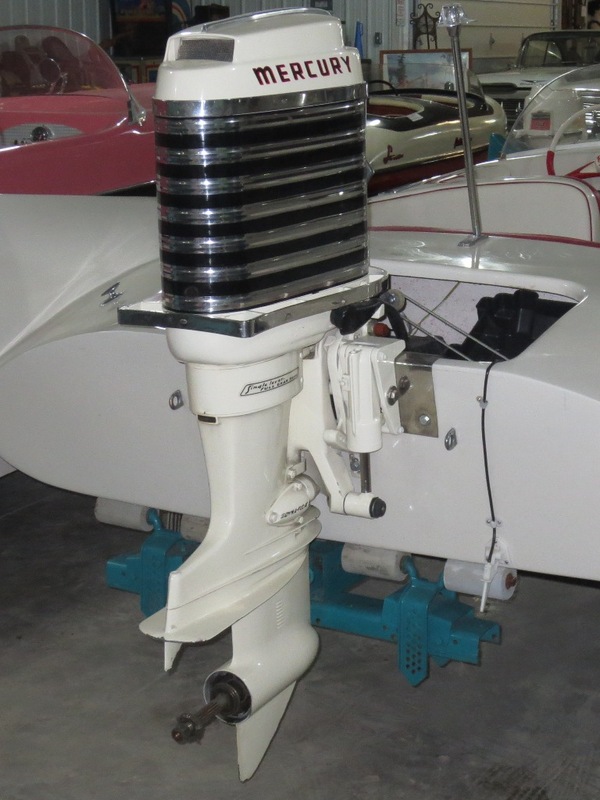 Oh one more thing, your Atwood wheel will fit a modern tapered steering shaft so it will drop right on a new single cable system. The trick is adapting your bezel to make the cosmetics look right. I’ve done this several times on many vintage wheels and it’s an invisible improvement. 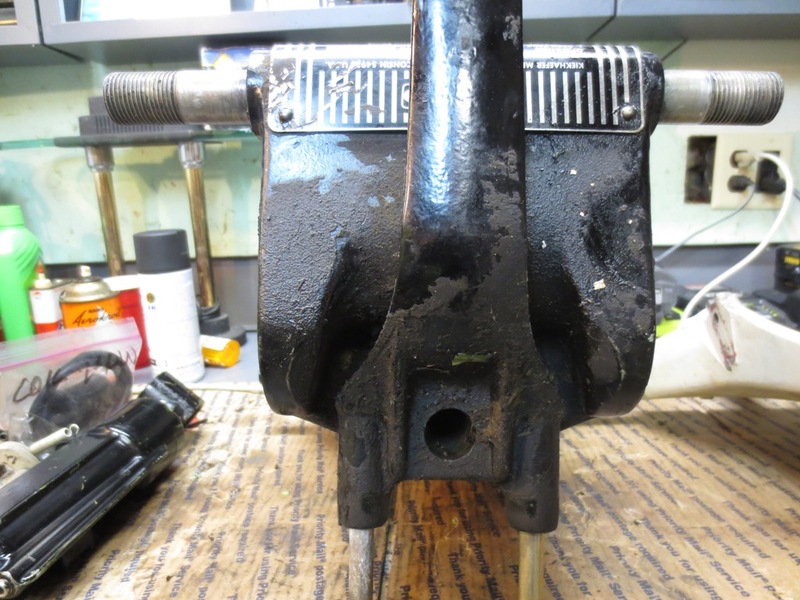 You might have to modify an old bezel or machine up a new one, I’ve done it both ways. 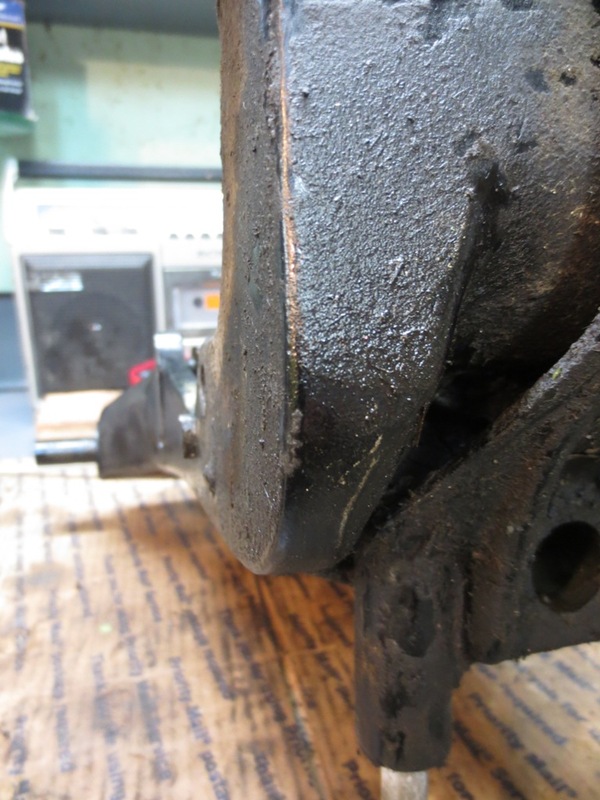 I also never torque the steering shaft nut down very tight , keyed tapered shafts lock on well with little pressure, if tightened down it’s a bear to remove a wheel without damaging it in the event it needs to come off again. A smear of grease on the taper helps too. In the event your wheel does not want to come off, to prevent damaging it remove the wheel with the shaft, there is usually a c clip or a cross pin to be removed so the cable drum will slide off and then the wheel/ shaft will slide right out, it makes getting the shaft out of the wheel easier. All good information. Great explanation of the change in dynamics when converted to power trim. 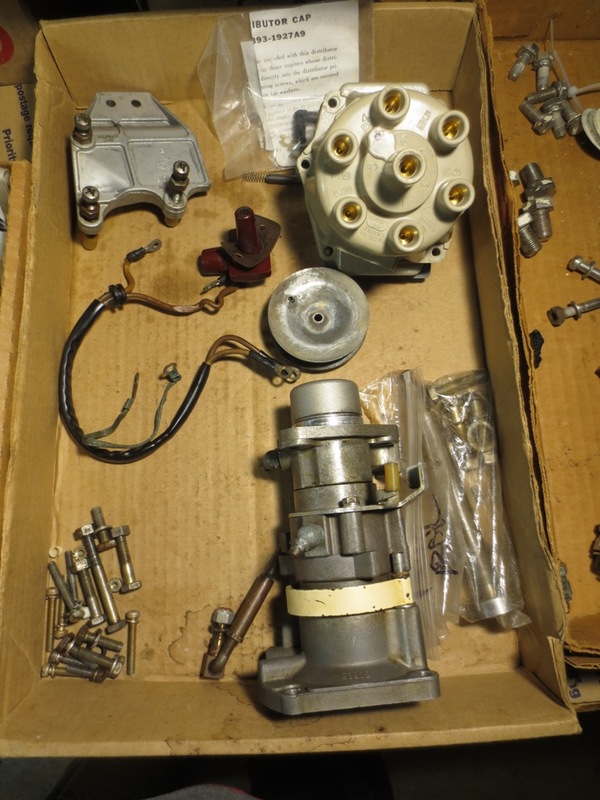 Joe Poole recommended replacing the swivel so I have one from a 1970 motor I will use. 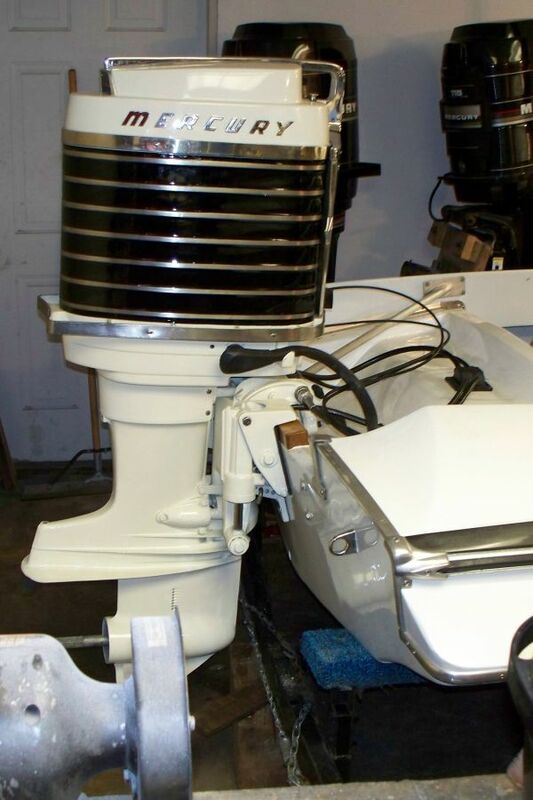 It has a steering lever and Joe says I need to cut it off for the original cowl to fit. 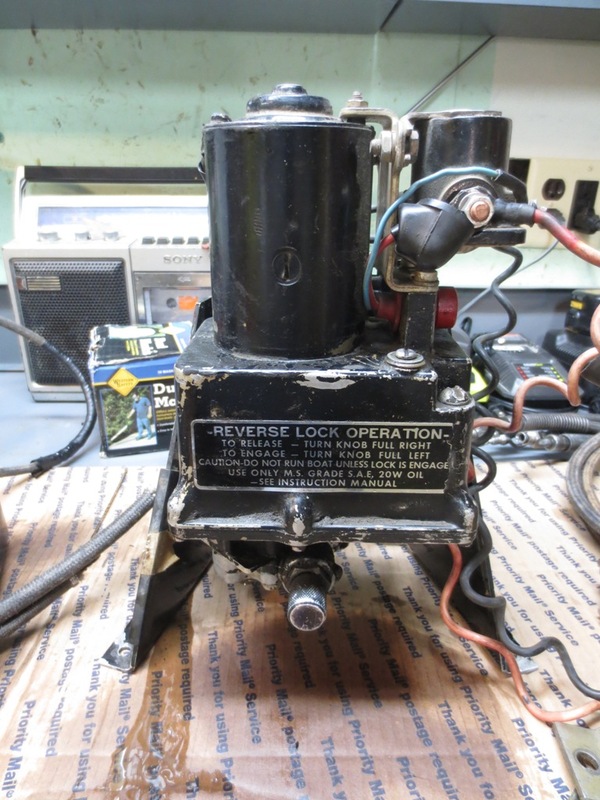 The motor came with the original 800-1 cowl which was sold sans the lettering. The wrap is not bad but has been stripped of the original paint. I have sent a request connection to you.